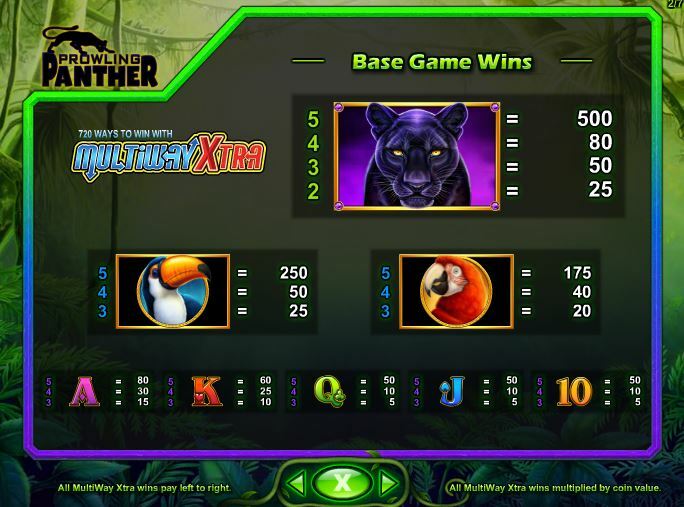 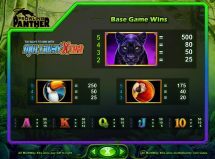 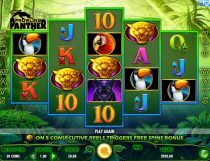 Prowling Panther slot fits well into the mould of the IGT 720-way animal themed games. 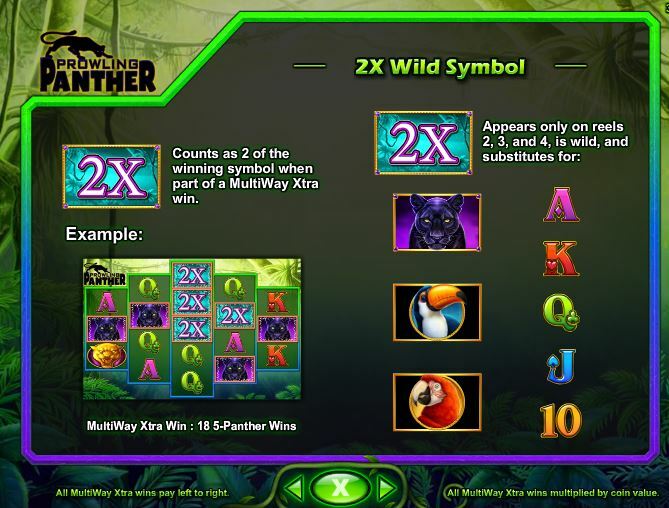 As with slots like Sumatran Storm and Siberian Storm you can get multiple bonus scatters on some of the 5 reels so can get 8 free games up to 96 should you trigger at the maximum 12 ways of bonus symbols. 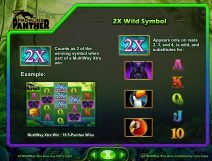 There will be enhanced stacked Wilds and Panther symbols added to reels 2, 3 and 4 plus the possibility of retriggers. 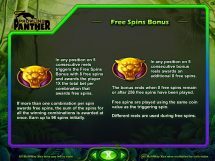 Separate scatters can pay for 3, 4 or 5 in the game too. 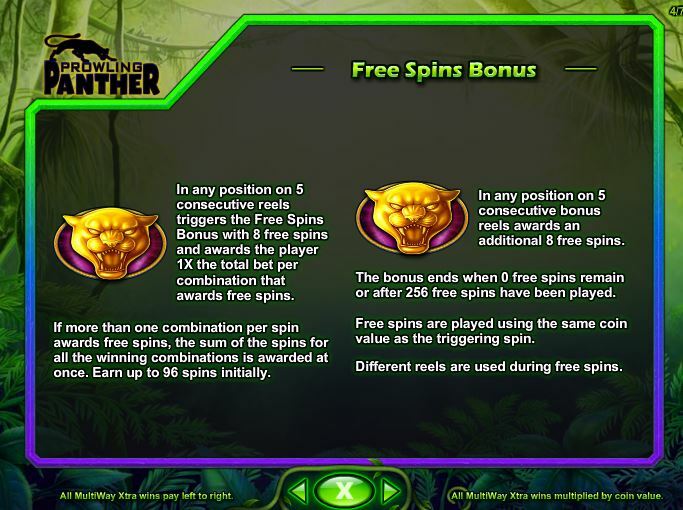 RTP is 92.09-96.09%.